How to Feng Shui Your Office Space | City Wide Paper | Corrugated Packaging, Business Supplies & More! 1. Entrance: The entrance should be free from obstructions. A great entrance way provides an immediate view of something inspiring like artwork or a great view. Claudat also suggests essential oils. It is great to greet people with a sensory experience when they enter your space. 2. Desk: The ideal placement for your desk is facing the door. If this is not an option, a well-placed mirror that gives a view of the door will make it more powerful. Claudat encourages using a bagua map to see how each area affects your work. She also suggests using the map before you start. You can see where your piles accumulate and the alignment of the area on the bagua. For example, if there is clutter on the right side of your desk, check the flow of your creativity. 3. 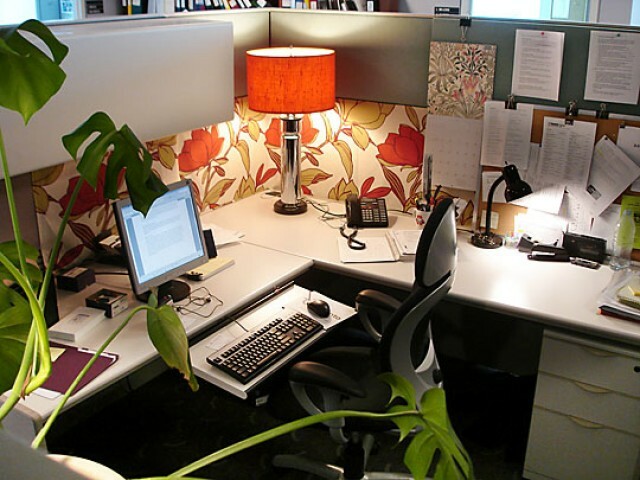 Office: Even if you have a cubicle, this area should look like you. You can add plants such as Bamboo and/or Jade and accessories that will help your space. Claudat suggests bringing some items from home because it is grounding. Colors can change an environment in many ways. She shares if you are looking to attract attention, add red accessories with a bit of gold, like golden picture frames. She also warns to stay away from too many patterns and intense colors as this can engage us emotionally.